Schools's out for summer and, as teachers celebrate, parents are stressing over what to do with their kids. YourDaysOut is the first place to go to when looking for things to do, but with thousands of pages for local businesses and events, where do you start? Well, we have teamed up with the Sunday World to make your decision a little bit easier. We published a 30 Days of Summer guide with fun ideas for things to do from all around the country. 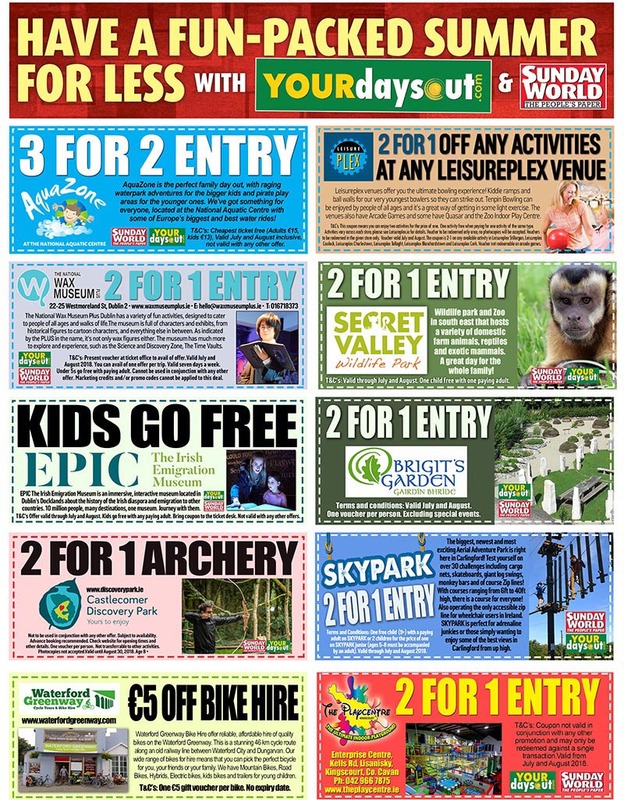 You can also save money on your days out with 10 discount coupons to some of Ireland's favourite days out. Due the the success of the campaign, the coupons are printed again in this week's paper - Sunday, July 29th. Pick up your copy this weekend.